World Leading Manufacturer of Large Scale 3D Printers. Large scale 3D printing has become affordable, reliable and accessible with the Builder Extreme 3D printer range. The Builder Extreme range consists of 3 different models/sizes, the Builder Extreme 1000, Extreme 1500 and Extreme 2000 PRO. All models come with features such as a heated bed, filament detection and a ups system – resume after power outage. 3D print prototypes, molds, tooling and props on large scale with the Builder Extreme 3D printer. The Builder Extreme 3D printer is produced in our factory in the Netherlands. 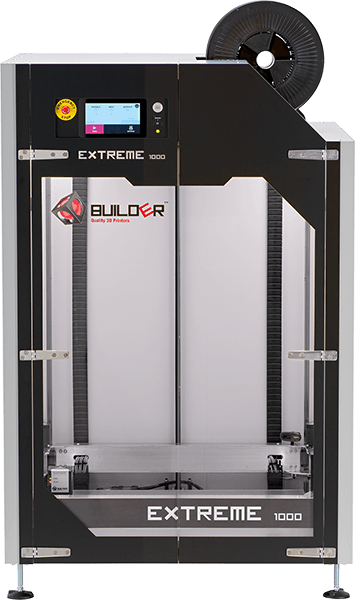 The Builder Extreme 2000 PRO is one of the tallest industrial 3D printer available today. 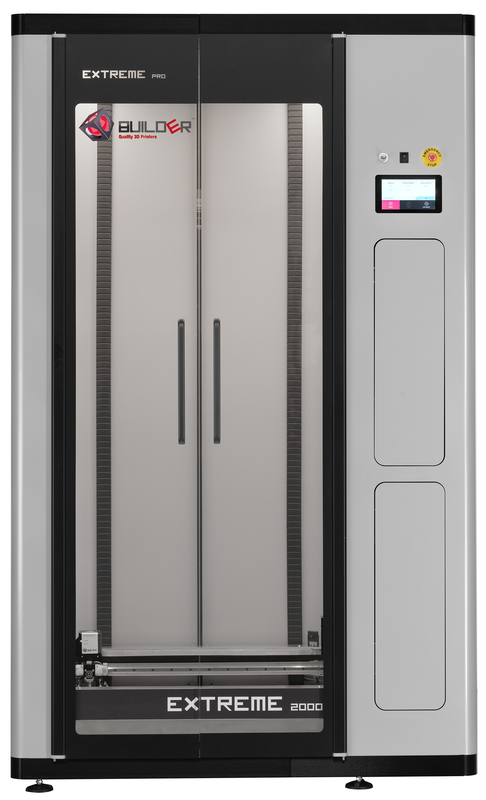 With a print volume of 700x700x1700 mm (XYZ), it’s the perfect 3D printer for extremely tall objects. Features such as a 7 inch touch display, filament detection, ups system –resume after power outage, door locking system and prepared for an BOFA air filter, make it a fully equipped large format 3D printer. The Builder Extreme 1500 PRO is one of the longest industrial 3D printers available today. With its rare size, it’s fits perfectly in to the smallest office corners. The print volume is 1100x500x820 mm (XYZ), and with features such a 7 inch touch display, filament detection and a ups system –resume after power outage, make it a fully equipped large format 3D printer. 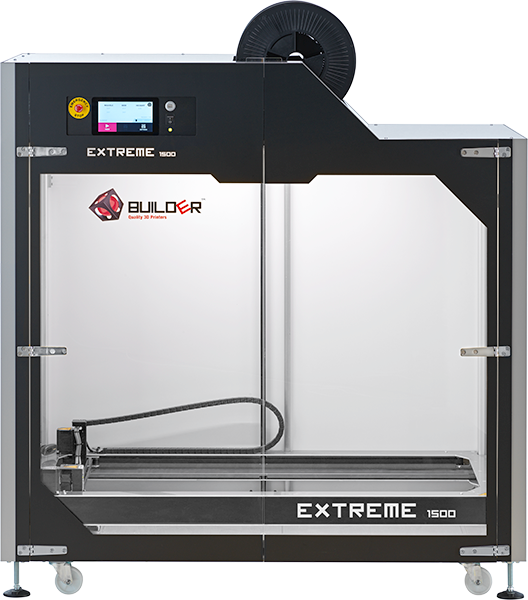 The Builder Extreme 1000 PRO is one of the biggest industrial 3D printers available today. With a print volume of 700x700x820 mm (XYZ), it’s the perfect printer for printing large prototypes, molds, tooling or props. Features such as a 7 inch touch display, filament detection and a ups system –resume after power outage, make large scale 3D printing worry free. We offer a range of different filaments for different purposes. From PLA for visual prototyping to PET filament for food related products. Discover more.